Consider this our official request to make tacos an essential food group. Sure, we love barbecue and steaks, but there's also a big soft spot in our hearts (and stomachs) for some tacos. Here's a few to satisfy all your taco cravings. The "No Diet Here" sign says it all. You'll order quickly at the front counter and take a seat at one of the dozen or so tables on either side of the restaurant. 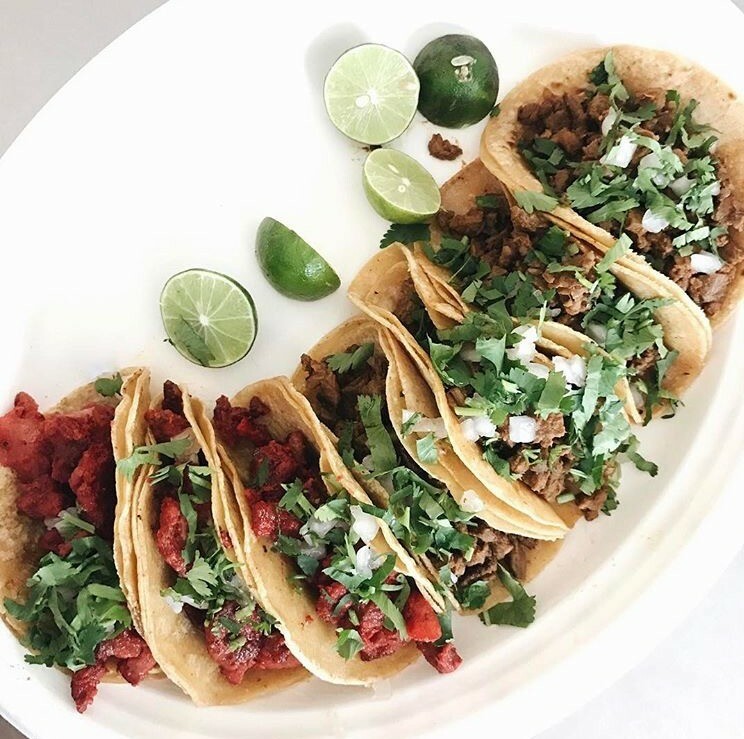 From there, it's only a few minutes before you have a plate of authentic, mouthwatering tacos (start with the bistek for a classic taco meat) that will have you planning your next visit before your last bite. Don't leave without tasting: The horchata, a refreshing rice water drink with hints of cinnamon that's popular in Latin American cultures. It'll cool you down perfectly after tasting La Banqueta's killer hot sauces. 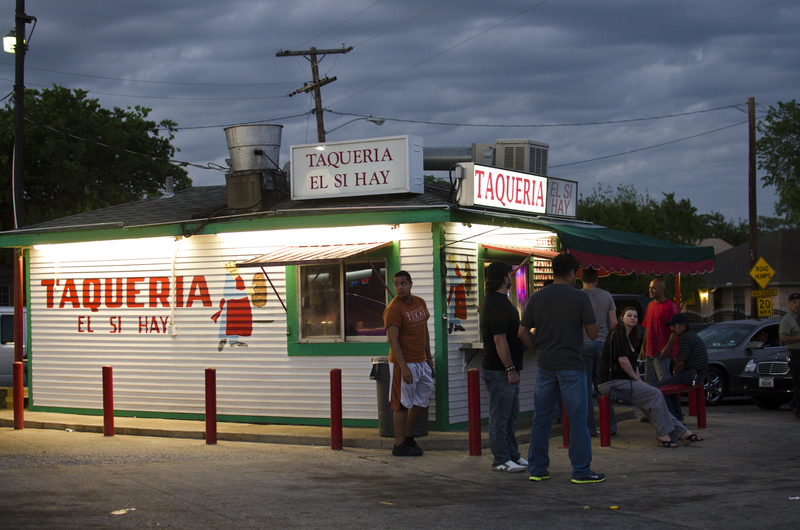 This place sets the standard for authentic, street-style tacos and its popularity shows. You'll find a daily crowd of enthusiasts waiting to get their hands on some tacos before they even open and their simple menu – just 6 meat options – keeps the lines moving quickly. Don't leave without tasting: The elote (street corn) from the man who sets up shop daily just outside the taco window. Order it with the works – mayonnaise, hot sauce, butter and sour cream – while you're waiting for your tacos. Pump gas and grab some tacos while you're at it. The taco stand is attached to a gas station and massive convenience store and you'll find the order window just to the side of a generous covered patio. The line moves quickly and you won't go wrong with ordering a street-style corn in a cup from the vendor just steps from the window. Don't leave without tasting: The picadillo taco. The spicy ground beef and potatoes come stuffed into corn tortillas and piled high with cilantro and onions. One of the more impressive menus on this list, El Tizoncito offers it all: colorful decor, tacos galore, an impressive appetizers menu and the standard micheladas and aguas frescas. Start with the rajas con queso, sauteed poblano peppers stuffed with melted cheese and served with warm, toasty tortillas before digging into a plate of pastor tacos, served with a side of diced pineapple to get that sweet and savory taste right. Don't leave without tasting: The complimentary black bean soup. Its simplicity – just black beans, broth and cilantro – sets the tone for the tasty and filling tacos that will soon be placed in front of you. 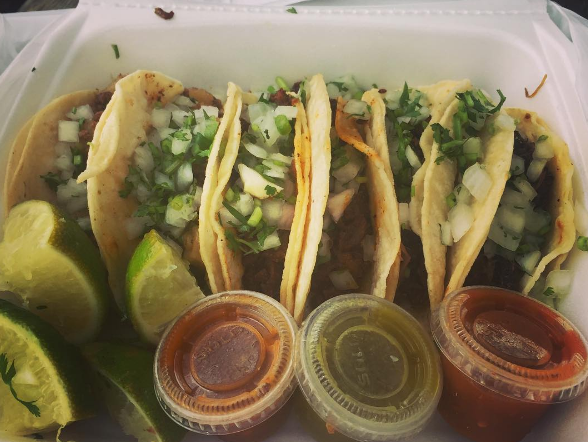 The small, simple space just down the road (about a mile) from Trinity Groves lets the tacos take all the glory. Bring a friend and try each of the three meat options (pork, steak and a vegetarian paneer-poblano option) and quesadillas on the menu. Your order comes with two salsas to try: the green is a bit milder than the red, which definitely has some heat to it. 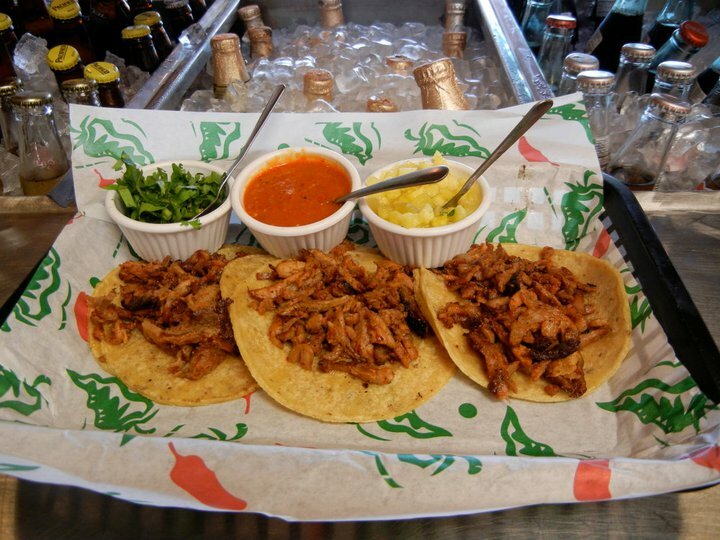 Best for: Being in the know – they were just named the best tacos in the country by Bon Appetit. Don't leave without tasting: The namesake trompo meat, also known as pork cooked on a rotating vertical spit. Surprise your friends with this insider knowledge: the meat's pink-ish hue comes from the paprika seasoning they add. 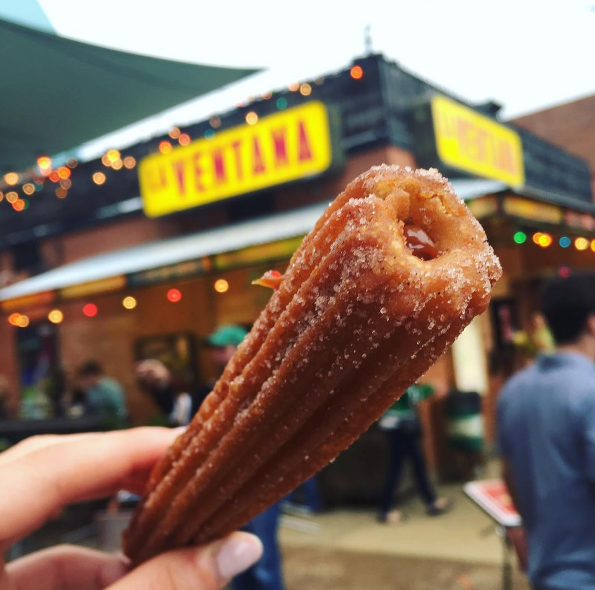 Enjoy La Ventana's two premium locations in Downtown Dallas: one near the Perot Museum of Nature and Science and the other inside the Dallas Farmers Market. The lively taco spot, colorfully decorated and known for their daily-made fresh tortillas, shows off big, spacious tables and outdoor patios at both locations. The generous menu includes savory guacamole, the must-have corn in a cup and nine meat options for their tacos, bowls, burritos, salads and quesadillas. Don't leave without tasting: The churros! You won't be able to set down the cajeta-filled dessert snack without finishing it. With cooler temperatures on the way, October is the perfect time to explore the city. Dressed up or dressed down, brunch is always our favorite weekend accessory. Fall is here and there is so much to do! From holiday happenings to fun festivals, Dallas will not disappoint.